Every month, hundreds of WordPress Themes are being released on themestore, this is also the same with Free Wordpres Theme. More designers are releasing their themes in the wild and in we are here to collect them. We will collect Free WordPress Themes that has been released recently, to give you only the fresh themes there is. 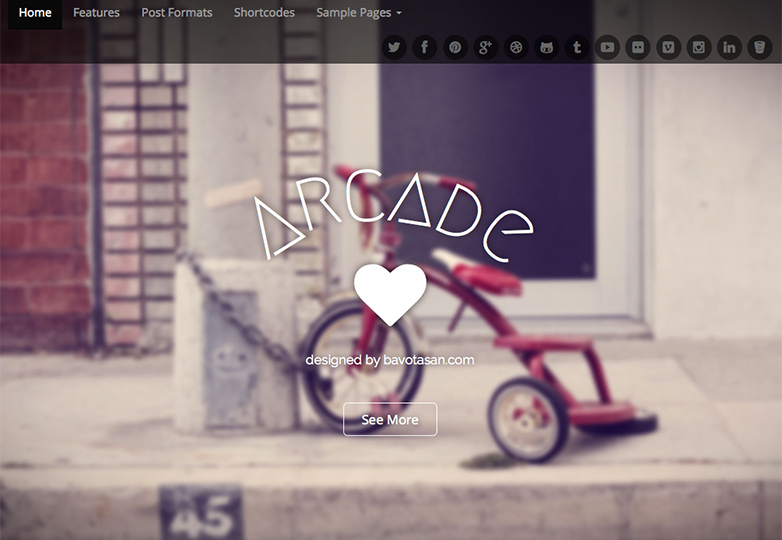 Today is a collection of WordPress Themes for the month of March 2014. 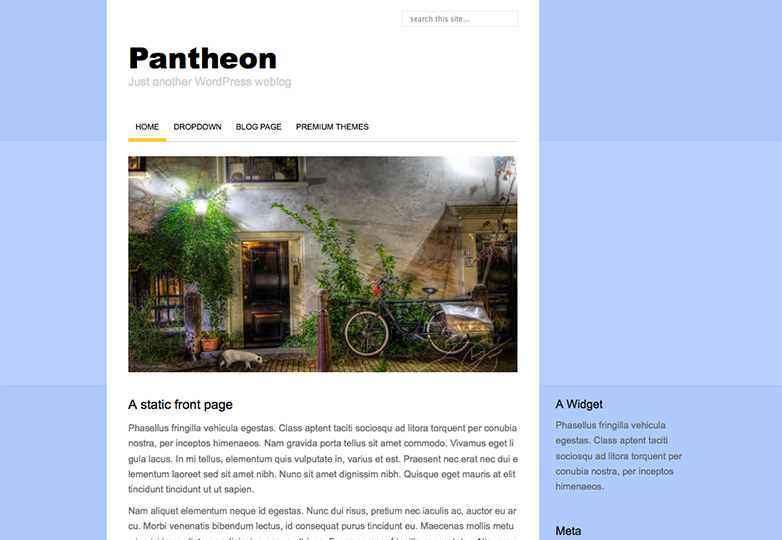 This simple theme features some nice buttons and a simple image slider to help add a little pizzazz to blog posts. 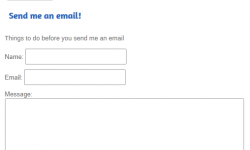 The theme is built using a 960-pixel fixed-width design and allows for customization of the header. 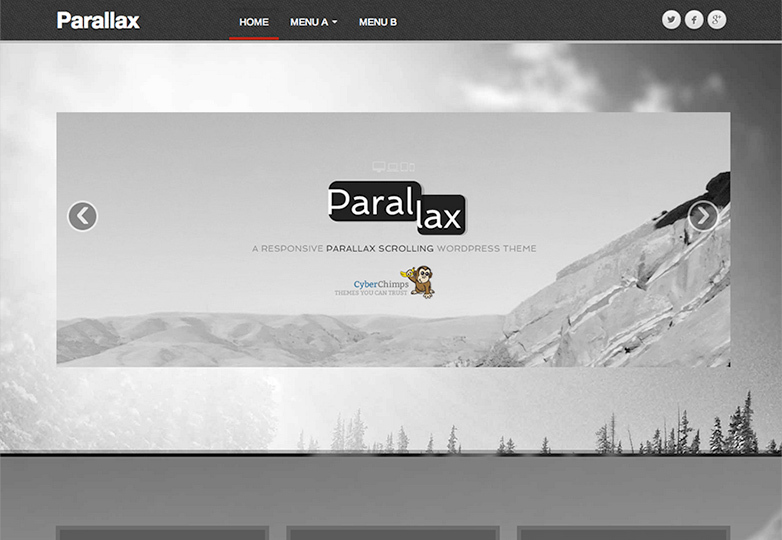 This theme is right on trend with one of the hottest techniques in web design, parallax scrolling. The fully responsive theme is touch-friendly for mobile devices. It features drag and drop building tools based on the Twitter Bootstrap framework and plenty of customization options when it comes to color and post format. 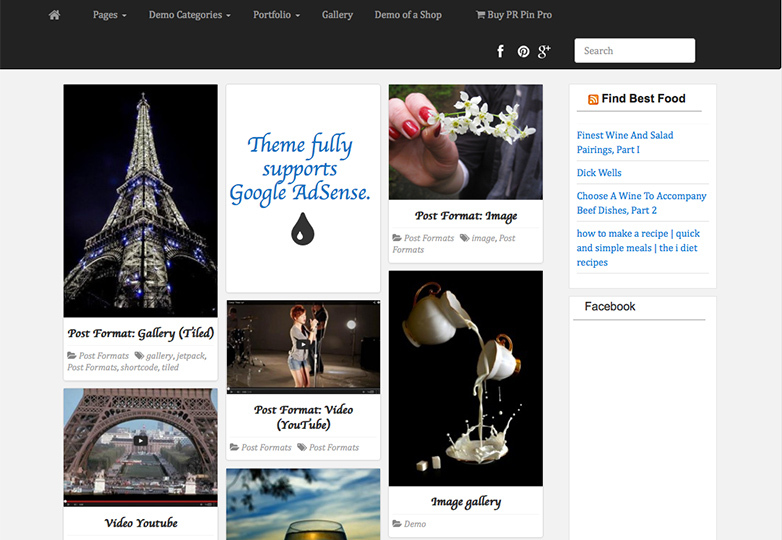 If you are looking for a Pinterest-style theme that supports use of Google ads, PR Pin is the theme for you. This responsive theme works in a variety of sizes from 320 to 1,260 pixels wide and allows for the easy display of text and images. It includes a main area and sidebar, plus quite a few customization options. 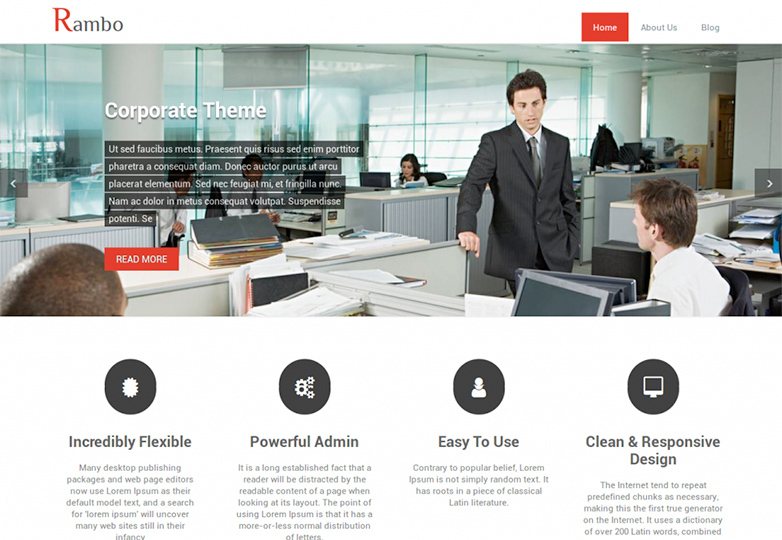 This theme is designed with businesses in mind. The retina-ready theme is packed with fun tools such as a large display banner, widgets and social icons. The fully responsive design is built on the Twitter Bootstrap framework and allows for custom CSS tweaks. 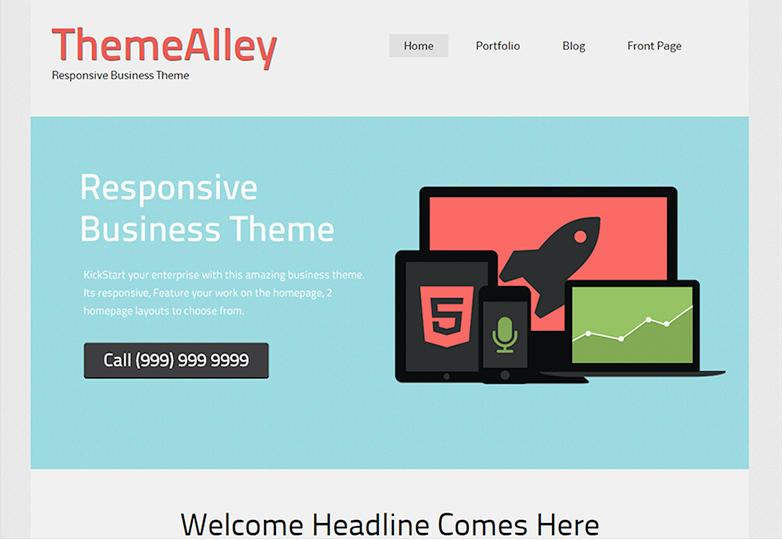 With three page styles—home, blog and single page—this theme is packed with features for starting a business webpage. Another simple theme in the flat design style, Sorbet features a subtle color scheme and nice extras. Each post type can be noted with a different color bar that works great for text or images. The responsive design also includes options for featured images, widgets, custom navigation and menus, social media icons and plenty of color customization options. 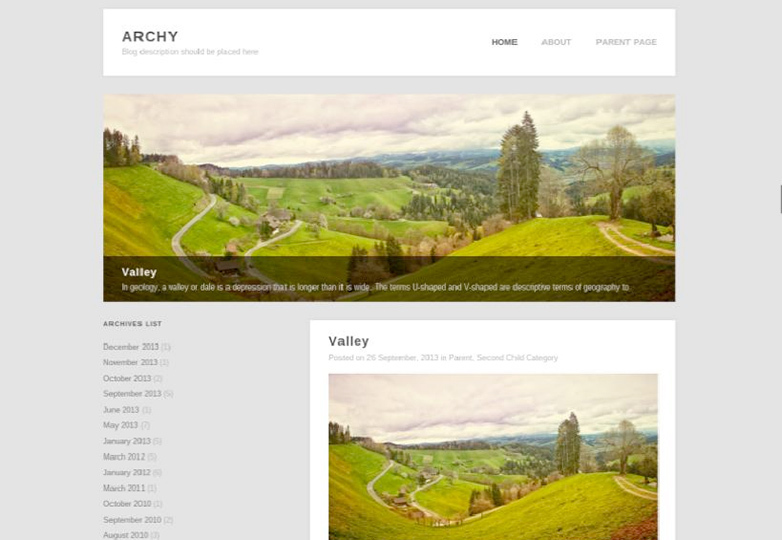 Archy is a super-simple blogging theme that features a photo slider over a two-column design. 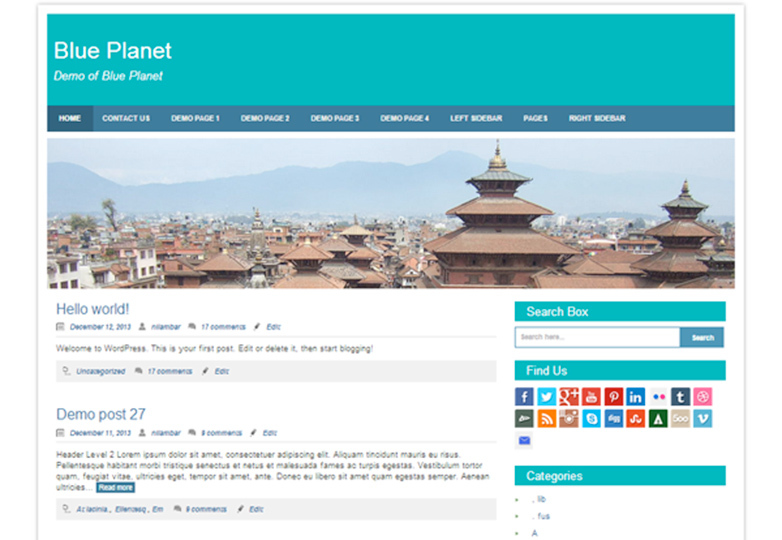 The theme is optimized for viewing at 960 pixels wide and supports common WordPress widgets. 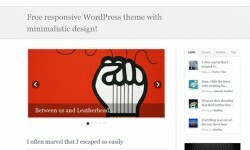 The theme also includes threaded comments and customizable widgets. The color scheme of white, blue and gray is static. 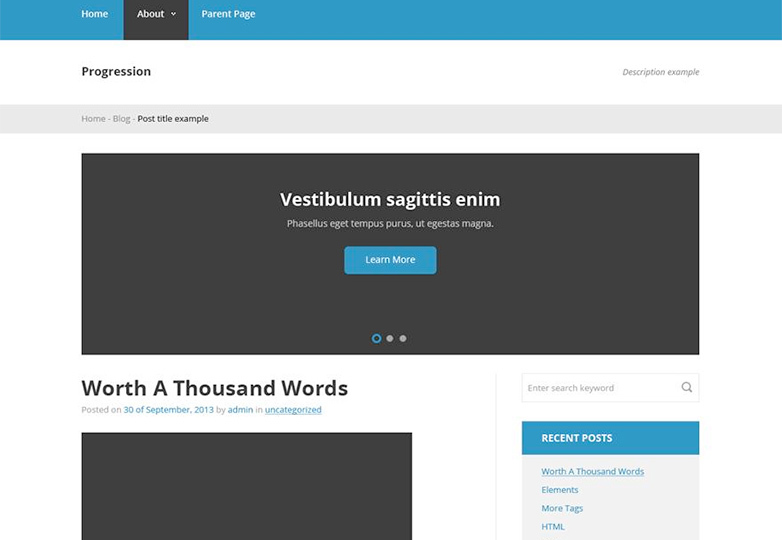 BizKit is a responsive theme designed for small business owners. The theme features specialized blocks for products and services as well as a section for customer testimonials. The theme features a flat design style and also includes three widget areas, two page layout options and social media icons. 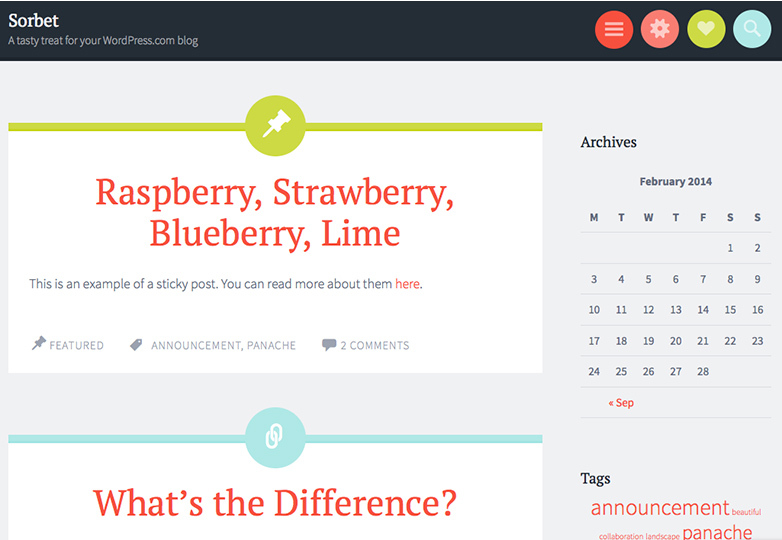 This simply-designed theme is packed with goodies. The fully responsive theme can be switched between one- or two-column layouts, includes custom menus, a slider, tons of social media icons, customizable CSS, is translation ready and has multiple theme options. This simple theme is one of the few out there featuring plenty of serif typefaces. From the header to the main body text, Book Inspiration has a classic styling that looks like what you would expect reading the printed word. The simple theme has a nice color palette and the simple ribbon headers are a nice touch. 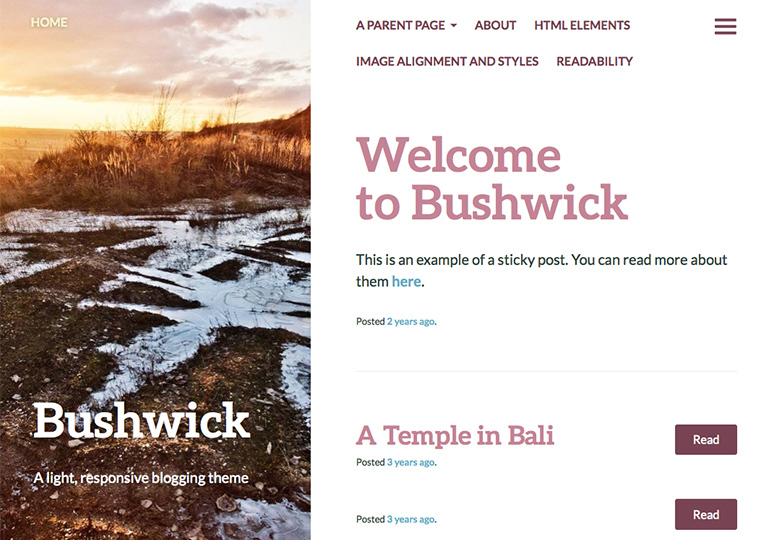 Bushwick is different in that this blogging theme features a vertical design, with images arranged beside text. 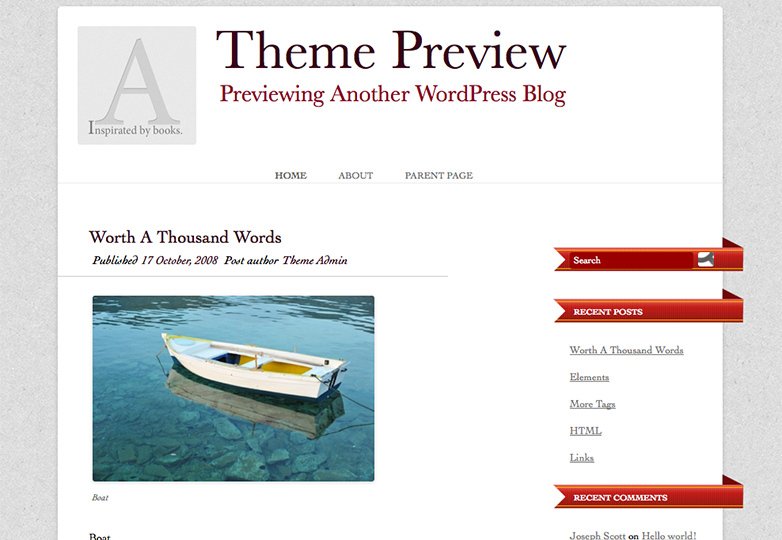 The theme features a custom excerpt feature, widget areas, and custom menus and headers. 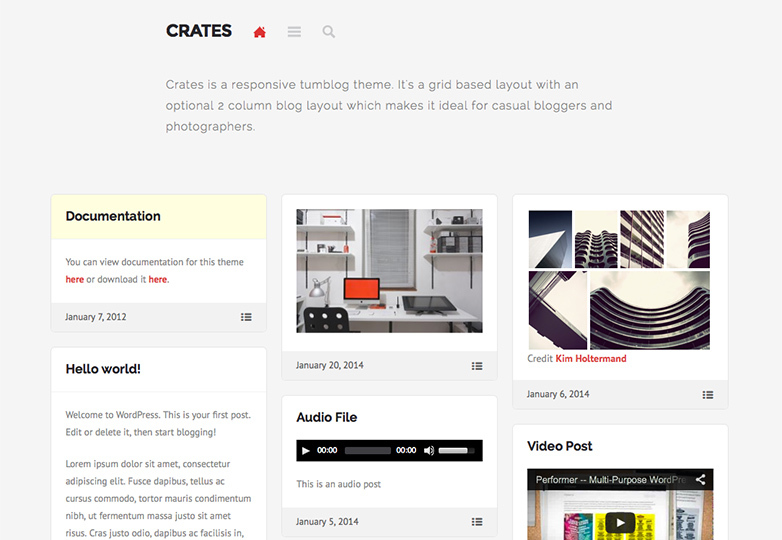 Crates features a grid-style layout with a sidebar. 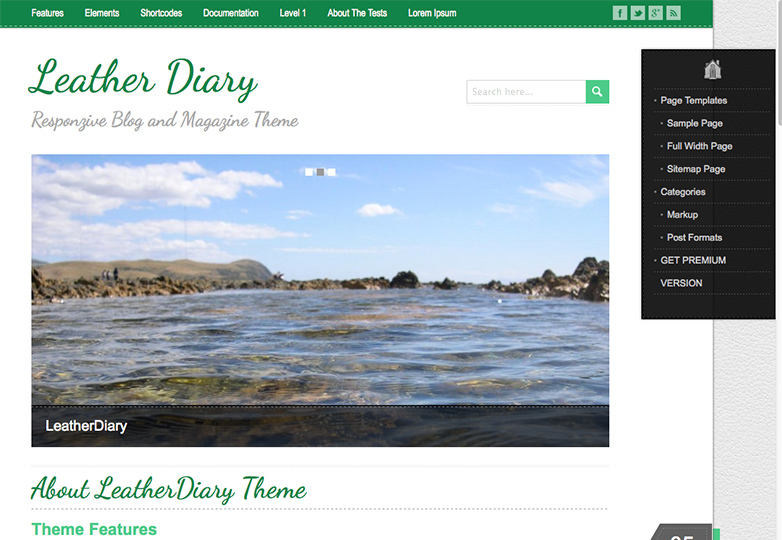 This fun little theme supports photo, video and text posts as well as audio and status updates. The theme makes your blog look more like a collection of social posts than a straight blog, for a more interactive experience. This theme also includes a chat widget, something you don’t see in many free themes. 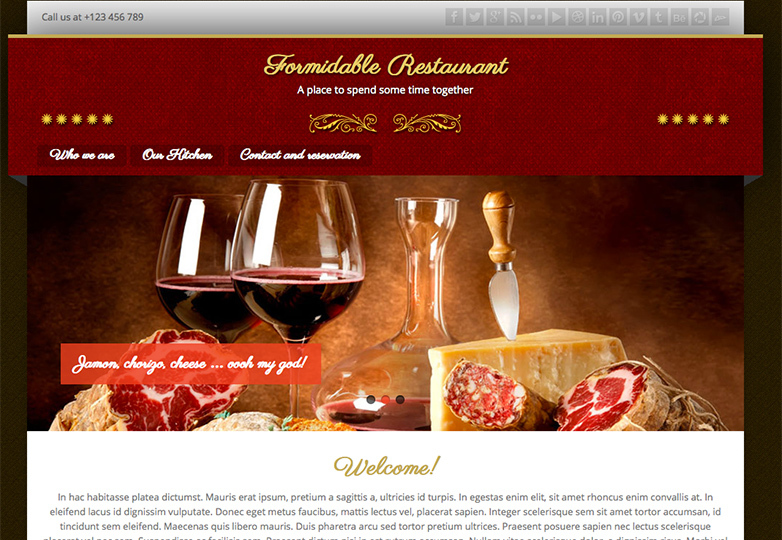 It’s not often that you get a theme that is made for the food industry, but Formidable Restaurant is packed with business specific tools – such as a menu card, custom logo upload capability and social links. This theme only comes in red, which some studies say stimulates the appetite, and also includes an integrated slider and some simple theme options. This simple theme broke this month’s list because of the neat image slider and card-style effects for photos. 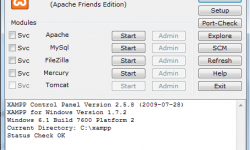 The theme also includes customization options for both color and the basic layout and framework. 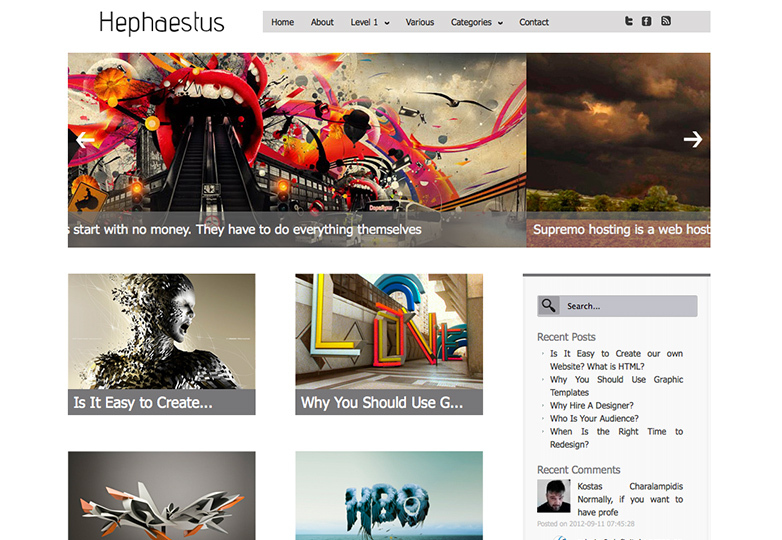 Hephaestus also includes the ability to add a custom logo, favicon and social sharing links. Leather Diary is one of the few skeuomorphic-styled themes out there right now. While the theme features more elaborate detailing than many sites are using right now, the overall look is refreshing. The fully responsive theme is customizable, comes with more than 200 Google fonts and features a nice slider, menu elements and sidebar.